It's time for my annual Holiday Gift Guide for Food Lovers, where I'm sharing my eight favorite gift ideas for the food lovers in your life! This year, I searched high and low for unique and flavorful gifts that are sure to bring a smile to the foodies on your shopping list. The best news? Every item on the list costs $50 or less (minus any shipping costs if ordering online). Let's get started! 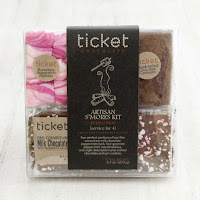 (1) Ticket Chocolate Artisan Peppermint S'mores Kit. For many people -- including yours truly -- peppermint is THE signature flavor of the holiday season. This artisan four-s'more gift set is perfect if you have a peppermint lover, chocolate lover, or s'mores lover to shop for this year! 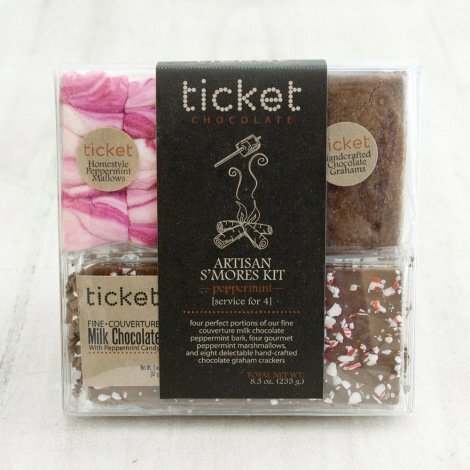 California-based Ticket Chocolate has put together a fabulous Artisan S'mores Kit that features squares of milk chocolate peppermint bark, handmade pink peppermint marshmallows, and homemade chocolate graham crackers. Simply assemble and heat -- the oven will toast the marshmallows and soften the chocolate perfectly in about 5 minutes. The end result is the s'more of your wildest peppermint dreams! In a pinch, you can even microwave 15 seconds (don't ask how I know...). Ticket also offers S'more Kits in Original, Chocolate Lover's, and Dulce de Leche varieties. All Ticket Chocolate S'mores Kit flavors can be purchased via their online store. (2) Luke's Lobster 1 lb. 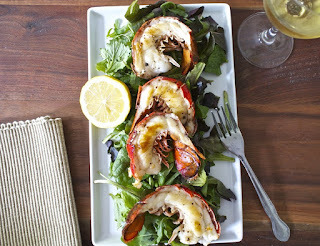 Raw Split Lobster Tails. This tasty gift is an affordable indulgence for the seafood lovers on your holiday shopping list. With this gift set from Luke's Lobster, they'll receive four portions of lobster tails that are split in half. Simply thaw and they're ready to cook in minutes. If you put the tray in the fridge to thaw when you leave for work, you can enjoy a lobster feast on even the busiest of weeknights. Simply brush the thawed tails with melted butter and a squeeze of lemon, season, and pan sear. In about 10 minutes, dinner is ready! The lobster cooks up juicy and perfectly sweet. I love to serve the seared lobster tail halves on a bed of quick-cook fresh pasta. To order, simply visit Luke's Lobster's Online Shop. Hint: Plan ahead to ensure holiday arrival! Because lobster is perishable, this item must be shipped overnight, which is an additional fee. That means these kits are shipped to arrive on Wednesdays and Fridays only. (3) Bottega Louie Assorted 15-Piece Macaron Sampler. This gorgeous box of jewel-toned macarons from Bottega Louie in Los Angeles is a feast for the palate, as well as the eyes! 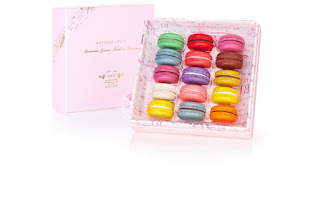 The macarons are packaged in a feminine pink box and contain a flavor assortment that includes Rosé Champagne, Chocolate Mint, Vanilla, Salted Caramel, Rose, Strawberry, Raspberry, Earl Grey, Lemon, Coconut, Mango, Pistachio, Espresso, Grand Cru, and Violet Cassis. Bottega Louie bakes its macarons fresh each day in small batches. They're made with California almond flour and are filled with fresh fruit compotes, buttercream, and ganache. Bonus: these macarons are gluten free, making them a thoughtful gift for family and friends who follow a gluten-free diet! Bottega Louie Macarons can be ordered from their convenient Online Shop. Macarons are fragile, so I was concerned about having them shipped. However, mine arrived carefully packed and in perfect condition! These are some of the best macarons I've ever tasted - very authentic and bursting with vibrant flavor. (4) Tucson Tamale Box of Happiness Sampler. 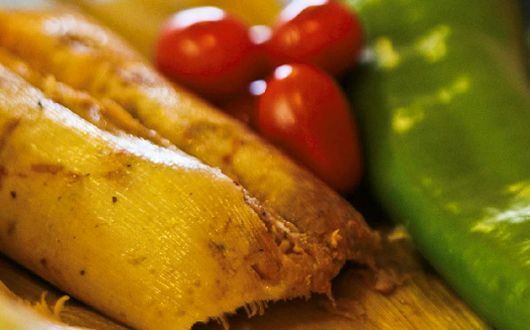 In many parts of the Southwest, including Texas, tamales are a traditional holiday food. Why not share this tasty tradition with your family and friends around the country? Arizona-based Tucson Tamale makes some of the best tamales I've tried! Their corn masa is flavorful and moist, and they don't skimp on the tasty fillings! 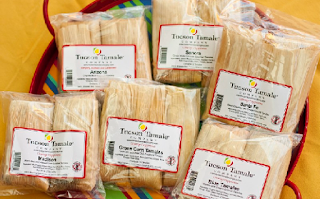 Tucson Tamale's Box of Happiness Sampler includes eight packages of their most popular flavors, and it includes both meat and veggie options...they even add a package of sweet pumpkin dessert tamales! Each package arrives frozen, vacuum-sealed and includes two large tamales. My personal favorite flavor is the Santa Fe, which includes juicy pork flavored with green chile, tomato, and onion. To order Tucson Tamale's Box of Happiness -- or one of their other fantastic tamale sampler boxes -- visit their online store. 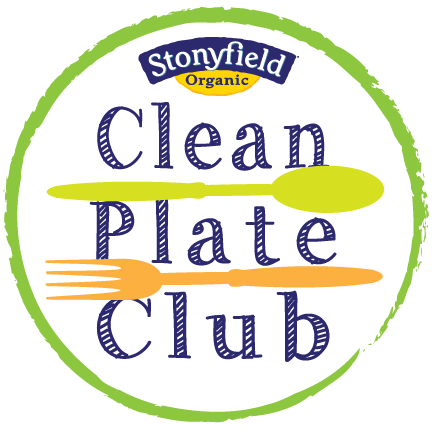 Whether you're shopping for a carnivore, breakfast lover, vegetarian, or vegan...they've got you covered! (5) Adagio Teas IngenuiTEA Set. 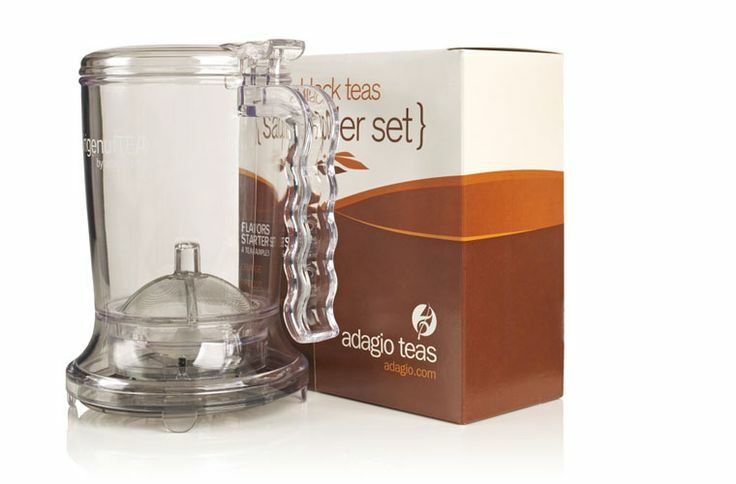 If you have a tea lover in your life, Adagio Teas' IngenuiTEA Set will totally change their tea brewing experience! This starter set includes an IngenuiTEA teapot and four samples of Adagio's delicious loose tea in your choice of black, green, flavored, or herbal varieties. The easy-to-use teapot is made from BPA-free, dishwasher-safe plastic. Simply add loose tea, pour in hot water, and then place the IngenuiTEA on top of your mug -- brewed tea automatically flows straight into your mug! This set is perfect for use at home or the office -- I transport mine between home and work all the time! To order the IngenuiTEA Set, visit Adagio's online store. (6) The Crispery's Four CrispyCake Gift Set. Do you have fond memories of the crispy cereal and marshmallow goodies you enjoyed as a kid? 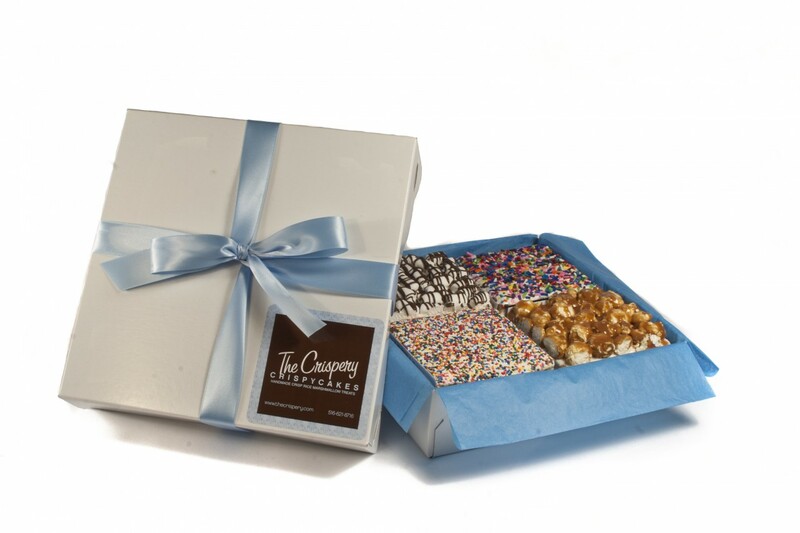 The Crispery offers a fun gourmet grown-up version via their Handmade Crisp Rice Marshmallow Treats! They offer a four-treat gift set that's perfect for holiday gift giving. Simply select four flavors from their large selection -- they even offer holiday flavors like Peppermint and Christmas Sprinkles! The Crispery will package your selections in a decorative box and ship it direct to them. These treats are huge -- making them big enough to easily share. The marshmallow is soft -- never sticky or hard to eat. This gift set can be purchased at The Crispery's online store. As an added bonus, The Crispery is offering readers of The Weekend Gourmet at 15% discount when you order using the code WEEKEND15 at checkout!! (7) Callie's Charleston Biscuit's Baker's Mix-and-Match. This duo of scratch-baked biscuits from Callie's Charleston Biscuit's is perfect for the breakfast lover in your life. 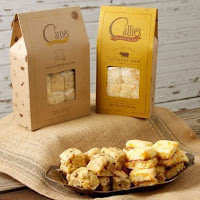 Callie's has done all the work for you and baked up amazing homemade scratch biscuits. All your recipient has to do is heat them in the oven...and pop them in their mouth. Callie's Biscuits are handmade in Charleston, South Carolina and baked up fluffy and delicious. I grew up eating homemade biscuits, so I can vouch that are the real deal! The Baker's Mix-and-Match comes with your choice of two flavors: Buttermilk, Country Ham, Cheese and Chive, Cinnamon, Cocktail Ham Biscuits, Black Pepper Bacon, and Sweet Shortcakes. Each package arrives frozen and includes a dozen small biscuits. 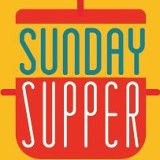 To order lots of great Southern food items, visit Callie's online store. When ready to serve, simply thaw and bake. We especially love the Buttermilk with butter and strawberry jam! (8) Grand Marnier Cordon Rouge Holiday Gift Set. 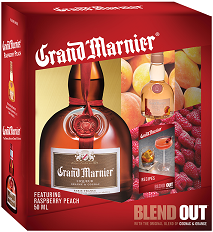 Versatile Grand Marnier orange liqueur is a classic combination of cognac and orange essence. It's also a thoughtful gift for both cooks and cocktail enthusiasts! Grand Marnier makes a great addition to both baking and beverages -- I always have a bottle on hand in my kitchen! 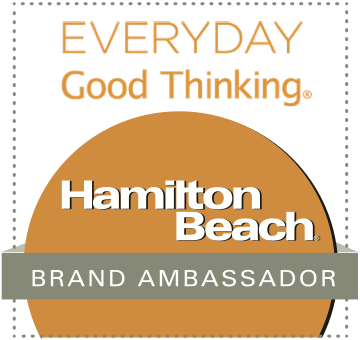 This year, they're offering a fantastic Holiday Gift Pack that includes a large bottle of classic Grand Marnier orange liqueur, as well as a small bottle of Raspberry Peach liqueur from their Signature Collection. The Raspberry Peach liqueur combines the classic Grand Marnier flavor profile with the bright flavors of tart raspberries and rare red peaches from the South of France. The resulting flavor profile is fresh and clean -- perfect for making cocktails and desserts. This limited-edition gift set is available nationwide for $39.99. Disclosure: The companies featured in my Holiday Gift Guide provided me with complimentary items to facilitate inclusion. 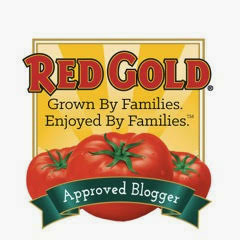 I only featured items that I have personally tried and enjoyed myself and am comfortable recommending to you. All opinions expressed are solely my own.